Every day we pick up a newspaper or scan the internet for reports of games that have just taken place. Do you ever stop to wonder who the dedicated few are that file these reports? At the top of the tree these journalists get paid fortunes, have huge expense accounts and can get away with writing any old crap just to fill some column inches. But at the lower levels of football people take on the roles of press officer and programme editor for the love of the game and their club. One year ago to the day we traversed London in the name of T’entertainment on a day since know as the Perfect Storm. So successful was that day that we have renamed the day New Balls Day – the moment when one sport finishes for the season and another really begins – well certainly in viewing terms. The agenda was similar. 1pm start at Lords for a Clydesdale Bank game then up the Jubilee line to Wembley for the richest game in Non-League football – the Blue Square Premier Play Off final. The only change this year was that we wouldn’t be heading back to the o2 Arena as we did last year – Michael Buble is not really my cup of tea. As you will know if you are a regular follower of the blog, we have a soft spot at TBIR Towers for Grays Athletic. This is due to a number of reasons. I once trained for a full three weeks with the club “back in the day” when I could still run; Lolly went to one of her first football matches here and managed to procure a shirt for just £5 that was then signed by none other than Paolo Vernazza no less and then at the start of this season we came to a friendly here and I managed to capture a picture that today is hung in a gallery in New York no less (OK – a kitchen of a mate then). Judge for yourself below what you think. That would be reason enough but then low and behold they go and announce a management team of John Moncur as Chairman and Julian Dicks as Manager. What a double act. Between them they were responsible for more yellow cards than most other double acts, but none were as committed to the Hammers cause in the past twenty years I would say. Legends both of them. But such characters off the pitch do not always translate to great managers. Hoddle nearly did it, but then went off on another planet and ended up at Southampton, Dalglish could still get another chance at Liverpool and Billy Bonds himself had buckled under the pressure of his reputation. All has not gone according to plan though at the New Rec. Despite bringing in a host of new players, such as ex-Arsenal-and-brother-of-ex-Arsenal Hoyte (Gavin) and Anton Zola, one Gianfranco Zola’s son, Grays came into this game still second from bottom and some nine points from safety. They came into the game after a couple of heavy defeats, as well as the fact they had failed to win at all on the road in 2009/10. But could the home team fair any better? Well in terms of points on the board, yes. Thirty two of them in fact from thirty games, some six above the drop zone but the concern at Church Road was for the amount of goals they are shipping in. A 6-1 home defeat to Rushden & Diamonds had come only a few weeks after a 5-0 reverse to AFC Wimbledon. Watching Hayes and Yeading certainly meant goals. Fifty of them in fact at Church Road in just fifteen games this season. And goals is what we pay our money to watch. Although there hadn’t been alot of money coming through the turnstiles. After promotion last season from the Blue Square South, where they surprised many by sneaking into the end of season play offs and then upsetting the form book by beating Alan Devonshire’s Hampton & Richmond Borough at the Beveree to boot, the crowds had been conspicuous by their absence at Church Road. Just 291 had been present for the recent game with Forest Green Rovers, which surely meant the club was losing money? It is hard to fathom why the locals were staying away, but perhaps the birth of the “super club” had not gone down too well? Hayes and Yeading FC were the new entity created by the merger of Hayes FC and Yeading FC, announced in April 2007. The two sides, both members of the 2006/07 Conference South and both located within the West Middlesex town of Hayes decided to” join forces, integrate resources and bring together a community, creating a new super-club on the non-league scene.” according to the official statement. So all was not well in the garden of West London. It would be rude not to spend a paragraph on the clubs though. Hayes FC started off life as Botwell Mission in 1908 and stayed that way to 1924. They moved to Church Road in the following year, renaming the ground Townfield. They progressed through the Middlesex leagues, before election into the Isthmian Leagues in 1972 where they stayed there or there abouts for the next thirty years. A few cup runs were all the club really had to show to put themselves on the map during that period. Yeading started off as recently as 1960, by brothers Ray and Carl Gritt, who were both involved in the club until recently. The Ding, as they were known reached the Isthmian Leagues in 1987, and a few years later they won the FA Vase by beating Bridlington Town at Elland Road. In the early 1990’s both clubs made the Isthmian Premier League and eventually the Conference South when the changes were made in 2003. A decision was made at the time of the merger to move into Hayes’s Church Road as it had more chance of making the next league grading should it be needed. So here I was – Conference ground number 23 on the list after the expedition to Barrow at the weekend, which had gone much better than expected. I picked up Dagenham Dan from McDonalds at 6pm (he is keen to stress that he never goes in there, he just knows where it is) and we were off – traversing from one side of London to another in the rush hour. In a few years time (yeah, right) we could have made this journey in minutes on the Crossrail link from Stratford to Hayes & Harlington, but instead we had to make do with Zafira-power. Surely the best club shop in the world? First off let me tell you about the highlight of the evening. If you have never been to Hayes’s ground before, you have missed possibly the best treat known to a football fan. If you have then you will know exactly what I mean. No, its not the food, the comfort of the ground, the perfect views or the entertaining football – all of which are spot on. Nor is it that little upstairs bar on the main road where for £20 you get to do….sorry – family audience and all that…I am talking about THE Portakabin. Pay your £12 to get in and almost straight in front of you is a little hidden gem. It is a crime that it is only open on matchdays. Officially it is the club shop, but it is the Aladdin’s cave of football shops. Rows upon rows of old football books, programmes, videos, DVD’s and shirts from every club known to man. Lee Hermitage is the man behind the idea and he has been promoted to a Danny Last FIFA 5 stars for his efforts. Need an old Rothman’s yearbook? Lee is your man….A video of the 1991 FA Cup semi-final – the Keith Hackett show? Lee is your man. So good was the shop that we almost forgot there was a game on outside. Such a visit is worth the admission money alone. Anyway back to the game…I’d had a little wager with Dagenham that the crowd would be less than 250, and judging by the numbers I could see on the terraces I was sure I was on a winner. I do not know what the footballing public in West London want. Here was a game that was sure to produce goals but they obviously choose QPR and Fulham down the road. What a treat they missed. The opening few minutes saw both teams passing the ball well. My impressions were that both teams would hoof it long, but that was not the case and some slick passing created chances for both teams in the opening ten minutes. The first real goal scoring opportunity fell to Hayes striker Scott Fitzgerald in the 11th minute when he charged down an attempted clearance by Wayne Gray before trying to lob keeper Preston Edwards from 40 yards when he should have continued to run on goal. Never mind as just 60 seconds later he had the ball in the net, albeit from what appeared to be an offide position when he moved onto a Justin Cochrane throughball before sliding the ball past Edwards to open the scoring. One became two in the twenty sixth minute when a free kick was powerfully met by Matt Ruby at the far post and easily beat Edwards in the Grays goal. To give the visitors credit they did not give up and a brief spell of pressure saw Wilson feed the ball to Gray who with his back to goal neatly set up Guy but his drive from the edge of the area was wide of the target. Scott Fitzgerald almost had a second goal just before the half time as Green and Binns combined on the left to create an opening that beat Edwards only to see the shot come back off the post. Grays task became mountainous in injury time as Wilson tackled Cochrane heavily and the referee produced a second yellow card for the Grays man and sent him off. After our visit to the club shop we reconvened on the terraces in front of the main stand. I had wanted to get a shot of Dicks in venomous mood but I was disappointed. The Grays manager did not say one word to anyone during the second half. Assistant Kenny Brown did his fair share of swearing but nothing from the manager. 17 year old Daniel Wishart came on for Scott Fitzgerald at the start of the second half and he had a major hand in the third on 54 minutes when he played it to Allen-Page who hit a powerful drive across Edwards to make it 3-0. Six minutes later it was four as Binns crossed to the far post where Allen-Page arrived to fire home his second in just a few minutes. Grays should have pulled one back ten minutes later as Hayes and Yeading’s keeper Masters could only get his fingertips to a cross and it fell to Alex Rhodes who somehow managed to hit the outside of the post with the goal gaping. At this stage I felt confident it could be at least six and made another sure fire winning bet with Dagenham Dan. But there was to be no more. Binns nearly made it five with a late header that came off the underside of the bar and with that I lost my bet. Seconds later the official attendance of 251 ruined my evening of gambling, and Dan went home 50p richer. So a freezing cold evening had not turned out exactly how I thought. Both teams tried to play football but as with most things in life you need a bit of luck. Hayes & Yeading got that in the first half and the contest was over by half time. The future does not look too rosy for Grays, with only the helpless and hapless Chester below them. Haye and Yeading on the other hand can look forward to a run of home games against the divisions big boys confident in their ability to score goals. The question is can they stop leaking them. A good evening? Absolutely – thanks to Lee Hermitage and his Tardis. Go there on Saturday – give the man on the door a wink and say Stuart sent you…you will not be disappointed. Even the catering van has packed up and gone! Church Road is a classic looking old ground that has banks of terracing that sweep around it. On one side is the Main Stand, which was originally built in 1925. The stand which straddles the half way line, is covered and all seated and is raised above pitch level. It has a number of supporting pillars that run across the front of it, which is to be expected with a stand of this age. The team dugouts are located in front of the stand, with areas of open terrace to either side. Opposite is a fair sized mostly covered terrace, known affectionately as ‘the Shed’. This covered terrace, does not provide cover for the whole of its length, but at least does cover the terrace down to pitch side. There are also a number of supporting pillars running across the front of it. Both ends are open terraces that are quite steep and continue around the corners of the ground. The stadium has a set of eight floodlight pylons, four of which run down each side. The club are unique in the fact that they actually own two grounds, and it is hoped that at some point the Club will re-develop Yeading’s old ground ‘The Warren into a stadium that would meet Football League standards. The Club would then move from Church Road to the Warren. If you are driving then leave M25 at Junction 16 and take the A40(M) towards London. Pass over one large junction (Denham Roundabout) and under another (Swakeleys Roundabout). Take next slip road (Hillingdon). At traffic lights turn right into Long Lane (A437). At the traffic lights at the end of Long Lane turn left onto the Uxbridge Road (A4020). After about two miles, turn right into Church Road opposite the Adam & Eve public house and the ground is down on your right. There is a car park at the ground which holds 300 cars and costs £1. Otherwise street parking. Hayes & Hartlington station is the nearest to the ground and is situated just over a mile away from the ground. It is served by trains from London Paddington & Reading. Exit the station and turn right and follow Station Road. At the T-junction take the left hand fork into Bolwell Lane, and then straight on into Church Road at the mini roundabout. The ground is further up this road on the left hand side. Many thanks to Duncan Adams and his fantastic site http://www.conferencegrounds.co.uk for the above information. In In the second week of December another football club in the non-leagues unfortunately bit the dust. Kings Lynn FC, formerly of the Northern Premier League simply could not cope in the modern world after their relegation last season from the Blue Square North and their one hundred year plus history was as irrelevant as a Graham Norton joke. Not that Kings Lynn were the first nor would they be the last in the modern era of football to suffer this fate. Ironically, one of the highest profile clubs to have disappeared off the football map was Maidstone United, then of the Football League Fourth Division in 1992. The whole saga has been reported on numerous occasions in other publications but below is a simple summary. Maidstone United were founder members of the Alliance Conference, the league below the Football League when it commenced in 1979. They subsequently won this league in 1984 but at the time promotion to the league was controlled via a vote of the chairman, which was of course a closed shop. In 1989 they won the Alliance Conference again but this time promotion was automatic and they replaced Darlington in the football league. Unfortunately they would not be playing in the administrative capital of Kent. They had sold their ground in 1988 to fund their investment in the squad to developers and had agreed a ground share with Dartford FC at their Watling Road ground. The first season was a relative success as they finished in the play-offs and were denied a game at Wembley by Cambridge United in the semi-finals. The club always planned to move back to Maidstone and that summer bought some land in the town for £400,000 but were then denied planning permission. At the same time the Football Licensing authority demanded urgent repairs of Watling Street in order to comply with Football League rules, which would not have been needed if Dartford were the only residents – so the burdon fell on the Stones. They had only one option, putting the squad up for sale. The following season was a disaster on the pitch, and with the Stones falling into financial trouble it was putting pressure on their landlords, Dartford. It was too much for the club and at the end of the 1991/1992 season they went into liquidation despite efforts to merge with other teams (such as Newcastle Blue Star). I followed this with interest. At the time I was in my early twenties. I had been invited on a number of occasions to train with the club as they looked locally for talent, and being a local lad I fitted the bill. My dreams of a career along side such stars as Gary Breen evaporated one summer’s day when I turned up for training only to find no one there. I still have my original shirt given to me at my first session, which I hit from the administrator in case they wanted it back. A few months later a new club, formed by the current Chairman Paul Bowden-Brown under the name Maidstone Invicta and played in the lower reaches of the Kent leagues. They kept making progress on and off the pitch as they attempted to win every competition, irrespective of its size they entered. In 2001 they moved to Central Park in Sittingbourne, and more latterly in Bourne Park Sittingbourne. They finally moved out of the Kent leagues in 2006 when they won the title and joined the Isthmian League South, some four levels below the Football League. They surprised many by winning this league at the first attempt, taking their place in 2007 in the Isthmian Premier League. The club also applied for permission to build a new stadium in Maidstone town centre although funding was initially turned down so they decided to move out of Sittingbourne and share instead with Ashford in their Homelands stadium. The season was a struggle, not helped by a serious injury to manager Alan Walker in pre-season training. They went into the last game of the season against Folkstone Invicta needing a win to stay up, which they duly did and relegated the visitors in the process in front of over 1,300! Last season was a bit more stable as the club finished in 15th place and enjoyed renewed acquaintances with rivals Dartford. So what of this season? Well in the Rymans Premier League they sit in 9th place and are again more than holding their own. Crowds have been disappointing at just over the 300 mark proving the struggle the club has to bring back the magic and more importantly the fans to support the team. With so few teams in this area of England football does not seem to stir the passion in the loins of Kentish people! 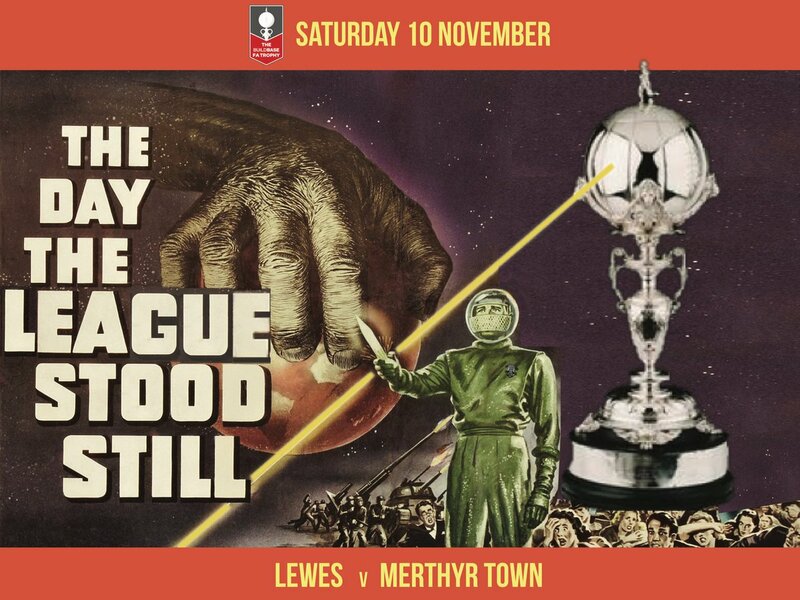 However, the real story was brewing in the FA Trophy. After promotion in 2007 they left behind the mysteries of the FA Vase and moved into the big boys cup. A 1-0 win in the first round replay against Waltham Forest saw them into the second round where they put league form behind them and beat Bognor Regis Town away 2-0. In the third qualifying round they ripped up the form book by beating Bromley 1-0 away and thus reaching the 1st round for the first time. And then came the draw….number 22 Maidstone United, will play number 13 Histon…The Stutes located a few miles north of Cambridge has essentially been propelled into the public eye just over a year ago when they beat Leeds United at their tiny Glassworld Stadium in the FA Cup. The club, managed by long ball specialist John Beck had ended last season one goal away from a place at Wembley in the Blue Square Play Off Final. But twelve months is a long time in football and they came into this game in mid-table with Beck long gone, new manager Steve Fallon suspended after he was critical of the new chairman’s cost cutting measures, and strong rumours that the club were on the verge of entering administration. In the build up to the game I made contact with the club asking for some information. Paul Bowden-Brown responded to my email within seconds with an offer of a press pass and an interview at the game. How could I say no to such hospitality? I couldn’t, so after dropping CMF off at one of Britain’s biggest Outlet centres some 2 miles away from The Homelands Stadium, me and the girls pitched up at the rural setting for the biggest game in the Stone’s modern history…..except the pesky Kent rain had put pay to any play, with the Histon coach already arrived. I had no option but to return to the shops and endure an afternoon of listening to 5live…And then the saga of bad weather started. The tie was postponed no less than six times due to first rain, then snow and finally ice caused serious financial pressure on the Stones and Ashford Town, as obviously home games are the main revenue generator. The FA told the club that the 19th was the last chance they had before the forfeited home advantage. In the period between the first game in early December, and the 19th January 2010 it had been a case of all change at Histon. Fallon was welcomed back as manager on the 9th January after his suspension for divulging confidential information about playing budgets to the team. Fallon, who had been in place for a decade. But three days later, Fallon was sacked – “”After resuming the role only yesterday it soon became very evident that underlying irreconcilable differences between Steve and myself and the board would preclude the partnership ever working for the benefit of Histon FC.” was the official line from Chairman Tony Roach. So with a tie away to Salisbury City up for grabs, the game commenced. What you don’t want in these games is to concede an early goal, and that is exactly what happened as Bolland put Histon ahead in the 8th minute. The Stones held their own for most of the remainder of the game but two late goals put an unfair reflection on the final score. Again, the disappointment for Maidstone was the very small crowd of just 238. After the FA Trophy drama it was back to normal with a home game against Boreham Wood, the first home league game for the Stones since they managed to squeeze in the Margate game on Boxing Day. The middle of the Rymans Premier looked a bit like the M20 under operation Stack with just 10 points separating 14 teams – from the final play off spot to the final relegation place. The cold snap had meant postponements all over the shop and so some teams such as Billericay Town in 20th place could actually go above Hastings Town in 2nd place with their games in hand. As luck would have it, Big Nige (my elder brother) had paid for CMF and myself to go away for the night sans children as part of my 40th Birthday present. He chose Eastwell Manor and Spa, some 3 miles from the Homelands Stadium, and as I was still under the 40 days/40 Nights rule of doing what I want, I chose to go to the football, CMF back to the shops! Who said romance was dead! After CMF taxi’s had dropped me outside the bar I could hardly refuse a pint before kick off. The function room at the Homelands is, well, functional, with a large projector screen showing the end of the Chelsea game and a very interesting programme and memorabilia sale in aid of the Bobby Moore Cancer Trust. The standard Non-League £10 got me in, and in chilly conditions it was easy to see how this game was in doubt up until a mid morning pitch inspection. Puddles littered the playing surface and it wasn’t going to be an afternoon of passing football that is for sure. I positioned myself in my favoured position between the dugouts to listen to the banter, and didn’t have to wait for long as both benches were united in their abuse for the officials. Boreham Wood were the better team in early exchanges, and if their lanky centre forward Effiong could have used his obvious muscle on a couple of occasions they would have taken the lead before the 20th minute/ A break into the box caused panic and the Maidstone keeper, Jamie Turner pulled down Lee Allinson. I broke my golden rule of the golden goal. I opened it before the first score. Twenty one minutes……My watch said 19 minutes and 10 seconds, so we needed some delaying action but alas it was not to come. Forty five seconds later the ball was in the net as Mario Noto’s penalty bulged….I had missed out for the second week in a row by a matter of seconds. The rest of the first half saw the ball hardly touch the ground as both teams tried to avoid the swamp in the middle. An injury to a Boreham Wood defender led to some abuse being hurled from the bench – “Get up you tart!”…but it was coming from his own bench! Then another poor decision had Maidstone’s boss Lloyd Hume “Humeing”….his tirade of seven, yep seven expletives in a row were met with mirth by all those around the dugouts, all apart from a scary looking female steward who forthrightly told him to “Sit down and shut up”. And the most amazing part was that he did! It didn’t stop him berating the officials at length on the walk back to the dressing rooms at half time although quite what he hoped to achieve I do not know. The second half was more of the same from both teams. Maidstone’s keeper was the busier of the two and made some excellent saves, none more so than from Effiong. The home side’s best chance came when Peter Hawkins who blasted over a golden opportunity from a few yards out. So, with six minutes added at the end of the game Maidstone threw everything forward but the impressive Boreham Wood back line held firm. CMF had arrived and I persuaded her to come for a swift half back in the bar, but was amazed that we were the first people in there. Then came Razor Ruddock and his mates (yep, Neil Ruddock in his best Vinnie Jones goes shooting clubber). Ten minutes later the number had trebled but surely more fans could have made the effort? The 233 who did attend are certainly behind the club, most of whom supported club colours, but as it has been publically stated on a number of times, the club needs more fans through the turnstiles. Twenty minutes later we were back in our manner house, champagne in hand. If only all of our awaydays could be this luxurious! 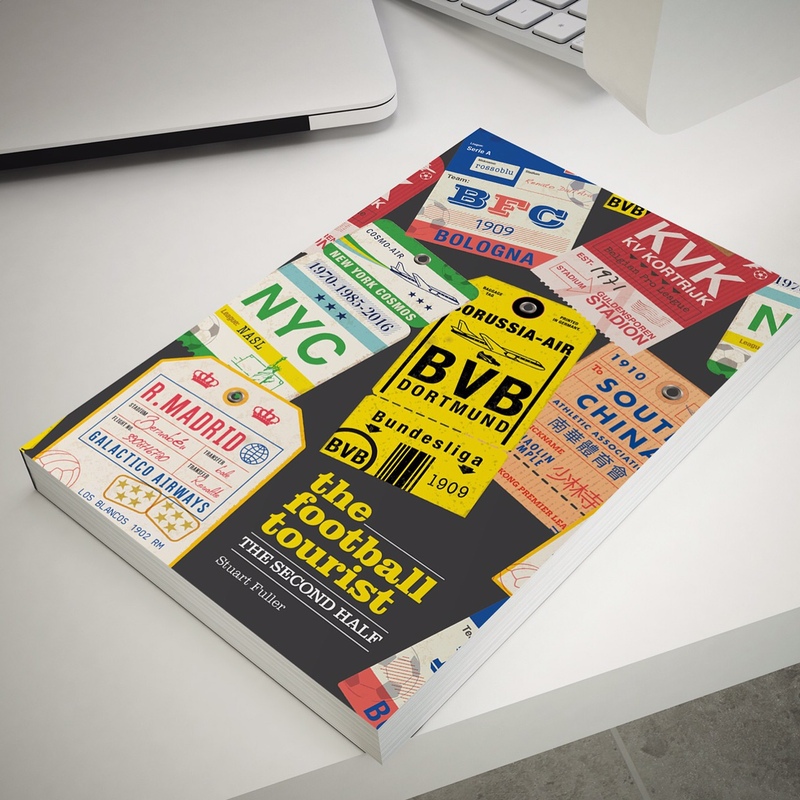 Coming soon – An interview with Jamie Barber, founder of the Virtual Stadium. The Homelands is home to both Maidstone United and Ashford Town. Fifteen years ago the stadium hosted Ashford’s FA Cup game against Fulham (then in the third tier of English football) in front of 3,300. It is the centre point of a new Sports Village that has been proposed for the area. It has one main stand that runs 2/3rds of the way down the length of the pitch and offers some good views of the action. Opposite there is just a fenced separating the pitch from the path, and behind each goal are small covers over three rows of terracing. There is a large bar at the far end of the main stand, but is accessible from the outside only. By Car – Leave the M20 at Junction 10, follow the signs for Ashford International Station and Brenzett. This will be Bad Munsterieful Road. Follow this road straight over at the first roundabout (McDonalds drive thru and Travel Inn on your right). At the next roundabout take the first exit for Kingsnorth. At the next roundabout go straight over (Tesco on your left). Follow this road for about twomiles, going through Kingsnorth, passing the cricket club on the left. The Homelands is 300 yards on your left. By Train – The nearest station is Ashford International, which is four miles from the stadium. Trains from Maidstone to Ashford are plentiful with a journey time of 22 minutes (fast) or 30 minutes (stopping). From there a taxi will cost around £5 to the stadium. It’s pay on the door for everyone with entry at £10 for Adults, £7 for Concessions and children under 11 free with every paying adult. Well, sort of pay on the door as you have to buy your raffle ticket style entry ticket from a window beside the turnstile before you enter. Transfer to the single stand is free of charge.